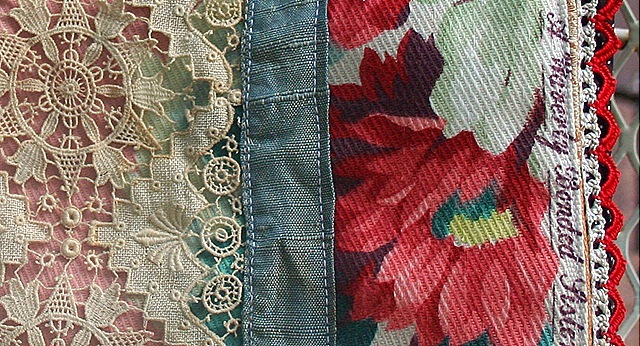 What beautiful fabric and lace. So, what are you going to do with all of this? 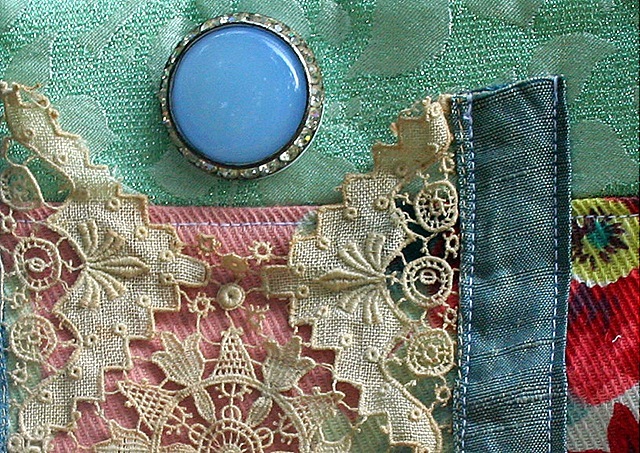 Embellishment: A true and magical art form. Oh how pretty. Is that a cuff bracelet? Love the colors and textures and patterns and… did I mention the colors? !